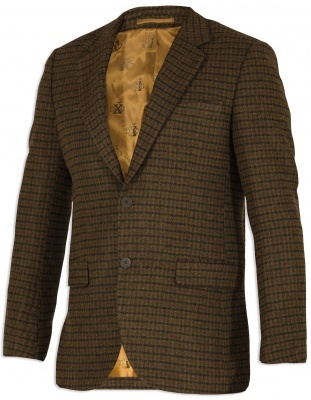 Stylish tweed blazer for hunting or dinners – this attractive Chestnut colour is perfect for all occasions. ​Smart, casual tweed blazer for hunt dinners or festive hunts. Good and stylish fit with many fine details. If you think an ordinary suit is too formal, the Beaulieu blazer is the answer as it is sufficiently relaxed and stylish to be used in all contexts.